← Colonial Cut Stone Center Chimney Dismantled and Installed. Victorian Wraparound Porch Parts Reproduction. New posts installed, ready for rail assemblies. The Victorians believed in the health benefits of getting plenty of fresh air, and their architecture reflected this in the wraparound porches, sleeping porches, second floor porches. Homes today are fully sealed, also promoted as a health measure. There is a government program, in fact, promoting this value. So which is it, is fresh air your friend or enemy? Who knows, but what is clear is that the Victorian porch is a stunning if vulnerable piece of architectural ornament that never fails to incite comment and admiration. Vulnerable because they are, by their nature, exposed to the elements in all their parts – – the decking, the posts and the rails. That is why it is always gratifying to see them get restored. 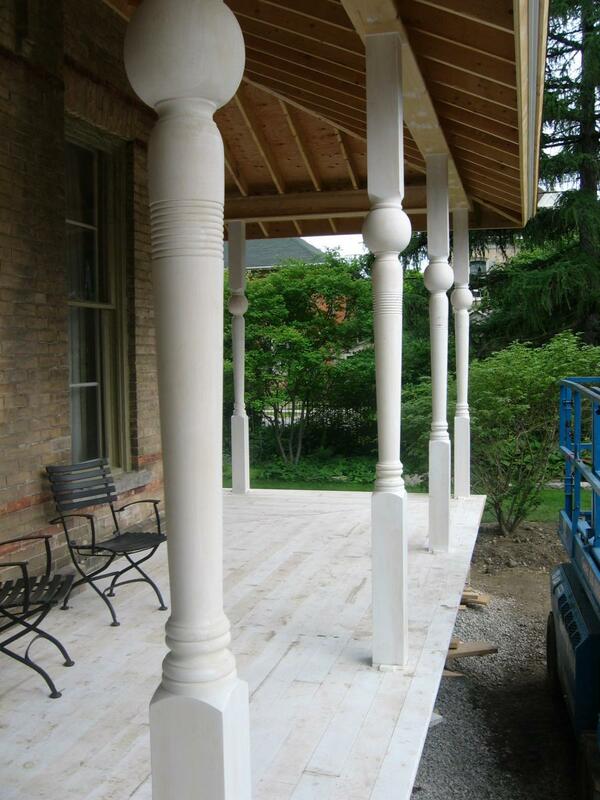 Simmonds Woodturning of Durham, Ontario turned these hand-sanded solid wood porch posts for this 1916 project in Toronto. Porch fully assembled and finished. 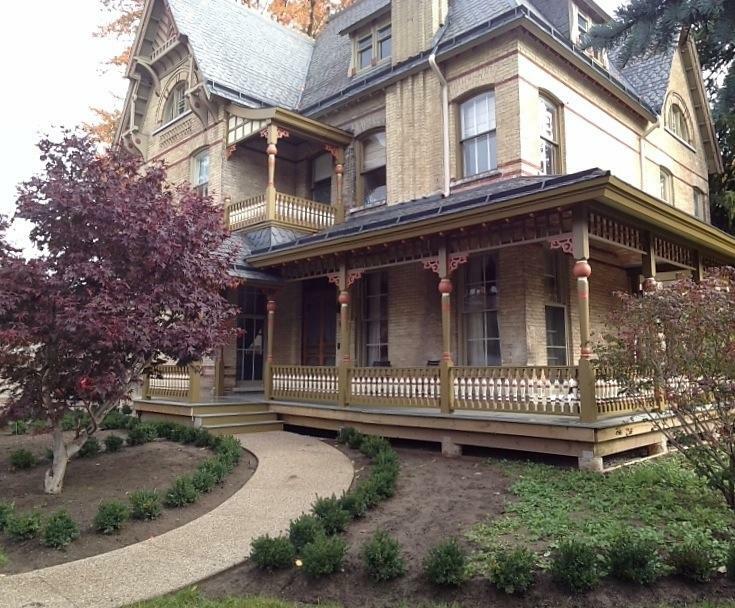 This entry was posted in Architectural Conservation and tagged Ontario, Toronto. Bookmark the permalink.